At the Presidential Suites Punta Cana, you will find the relaxation and adventure you've been wanting out of your vacation destination. These luxurious timeshares for sale feature comfortable living spaces overlooking the ocean, pool or gardens, and the property has many options for live entertainment, beach fun, and relaxation by the pools and spa. 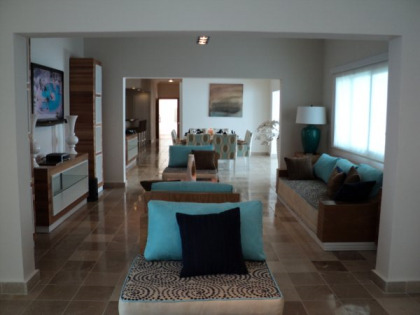 Water is a central feature of the Presidential Suites Punta Cana. Two free-form pools wind among the resort's buildings, and the resort opens onto a slice of beach called "Nirvana" for the peace and tranquility that comes of relaxing there beneath a beach chair, cool drink in one hand and the full Caribbean views ahead of you. Beach chairs and beds are available for rent. Certified Scuba Diving lessons are provided if you want to explore under the sea, and there are many non-motorized water sports to try. Some of the timeshares for sale include ocean views, others overlook the lush tropical gardens that surround the modern 3 and 4 story high rises. Air conditioning keeps the rooms cool and comfortable in the year-round perfect Dominican Republic weather, and the living and bedrooms are tastefully furnished with tropical colors in whites and blues. Couples can enjoy a peaceful retreat in one-bedroom apartments for two, or you can hang out with friends and family in a two or three-bedroom unit with space for four or six guests respectively. There are many ways to dine at the Presidential Suites Punta Cana. All the timeshares include full kitchens. Or, with the all-inclusive dining options, you can pick from one of five restaurants. Afterwards, feel free to dance the night away in the disco, or test your luck at the onsite casino. Dance lessons are open to residents and guests. 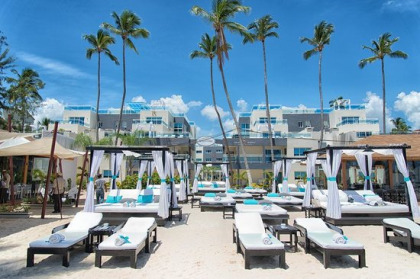 There is no better way to enjoy this jewel of the Dominican Republic than with a timeshare. With attentive staff, a beautiful setting, and activities programs that vary day by day, you will never miss out on a moment of fun. Whether you dream of action and adventure, or just sitting beneath on umbrella beside the sparkling Caribbean Sea, you will find your dreams coming true. 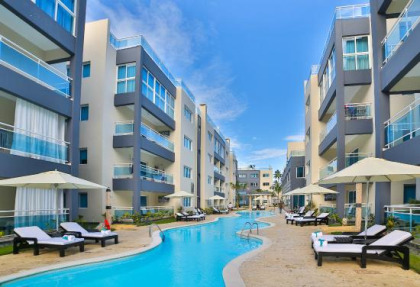 Contact Presidential Suites Punta Cana- A Lifestyle Holiday Vacation Resort Specialist Today!